Another successful season of Better Naito will draw to a close on September 23, 2018. The seasonal protected space for people walking, biking and rolling is ending one week earlier than initially planned to accommodate Multnomah County’s Burnside Bridge Maintenance Project. The project will repair sections of the Burnside Bridge during September and October, including the sections that are above Naito Parkway as well as the bike lanes, sidewalks and driveways under the bridge. 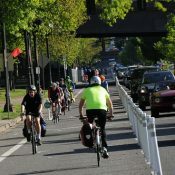 Since 2015, Better Naito has provided a protected space for pedestrians and cyclists traveling along Governor Tom McCall Waterfront Park during its busiest season: summer. Every year the park hosts many of the region’s largest festivals, drawing almost 700,000 visitors during the spring and summer, and over 15,000 people on the busiest days. 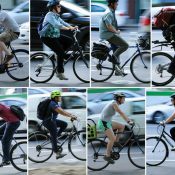 In 2017, cyclists took almost 400,000 one-way trips on Better Naito. Better Naito will return for another season in 2019, with the installation tentatively scheduled for the last weekend of April. Signs informing the public of the closure and detour route will be installed in the coming weeks. The bollards delineating Better Naito from the adjacent northbound travel lane will be removed during the weekend of September 22-23. While it’s just one week and probably not a bad decision given the County’s upcoming project, this is a reminder that despite all our accolades, Portland still struggles to make some of the easiest shots in the game of transportation. Even with its bare-bones budget and temporary implementation, Better Naito has been a resounding success for the past four years. It has survived funding votes at City Council, it has captured enthusiasm of electeds, and it has been a shining example of government working with activists for the greater good. Unless something changes (or someone at City Hall gets enough spine to stand up to the Portland Business Alliance — which remains the sole voice opposed to the project), our best chance to make Better Naito permanent now lies with the Central City in Motion (CCIM) process. 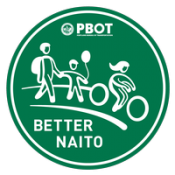 Better Naito is one of 18 projects under consideration for $9 million in-hand and an estimated $30 million total expected budget. PBOT will launch another online open house for CCIM feedback tomorrow morning (Wednesday, September 5th). 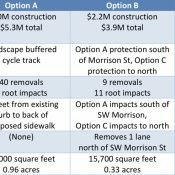 If Better Naito makes the cut as one of the first CCIM projects, PBOT says it could start construction by next year. 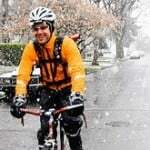 For now, enjoy your last few weeks of stress-free riding on Naito. Why in the world are they removing the entire stretch because of work going on above 1% of it? This is bull crap. Make it permanent. Re-stripe Naito, end of story. Just a local example of how the American system is hopelessly rigged. Simply because the people keep electing and re-electing the riggers! That’s quite a broad statement regarding a temporary traffic pattern change. Better Naito is the only thing that makes navigating the waterfront a tolerable exercise (especially during summer). I run as well as bike and my Saturday runs are much more pleasant when I don’t have to weave through the market during set-up…despite the fact that I still have to dodge vans unloading in the Better Naito lanes. How do we advocate for permanence? 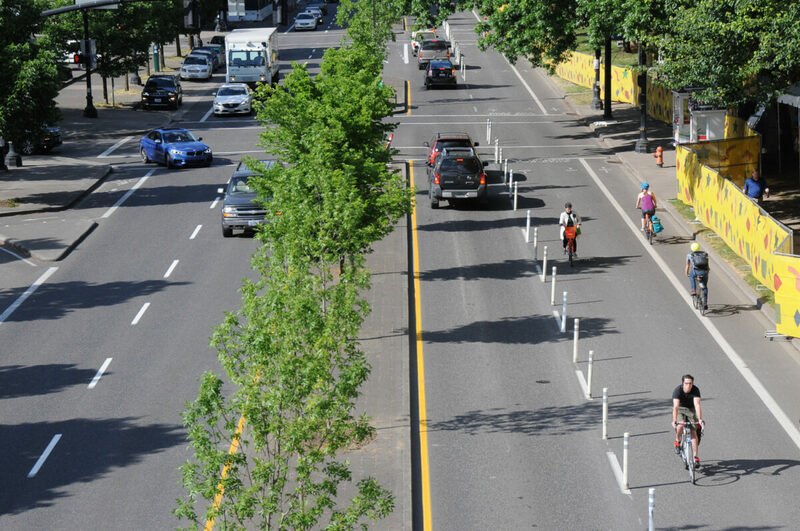 Since 2015, the City of Portland has repeatedly removed a tested and popular improvement that enhances the safety of people walking and biking. Since 2015, the City of Portland has again and again failed to demonstrate the necessary commitment and leadership to create a quality and world class facility on the waterfront for people walking and biking. Since 2015, the City of Portland has again and again reverted back progress made by the support of community members. All the meanwhile, every year PBOT gives lunch talks and presentations about the success of Better Naito. Real success does not get undone every year. Real success needs commitment for permanent change. So lame. Our leadership really is just so afraid to take on the PBA et al. Lip service all day long to combating climate change but where the rubber meets the road, they just fold. Better Naito has been a resounding success for the past four years. But fails to become a year round success. i guess that says everything about how much impact Better Naito had. Or, maybe it did have an impact, but this is just the same thing that’s happened five years in a row, and we have other, bigger battles to fight. PBOT has done so little for so long. And now their war cry is anti walking and biking and pro monster vehicle.